International Women’s Day may be over, but the issue of inequality circulates all corners of the web. Despite it being 2019, the statistics remain disappointing: female employees earn 25% less than male, only 16% of women graduate with STEM degrees and 82.1% of the board seats at Fortune 1000 companies are men. In the creative industries, women inequality is also an issue. Female photographers are not considered to be full-fledged actors in a man’s world, as the launch of the Nikon D850 was road tested by 32 professionals not including any women. To raise the awareness of the issue once more, Crello has created a fascinating, inspiring, and motivating guide to women empowerment campaigns. Crello focuses on something more fundamental — illustrating and highlighting that women can be strong, brave, capable, and assertive. Organized by the UN, the campaign shows that there’s still much prejudice and discrimination towards women. If you type “women should” in Google search, you will find a terrifying list of requests: women should stay at home, be slaves, not speak in church etc. The Women Should campaign provides an alternative ending to the phase: women should be seen as equal by now. The #banbossy campaign was supported by Beyonce, Jennifer Garner, Jane Lynch, and other celebrities who also believe that being an ambitious girl is totally fine. The issue traces back to the fact that middle school girls are less interested in leadership roles because they are worried about being perceived as bossy. The campaign urges people to pledge not to use the word “bossy”. 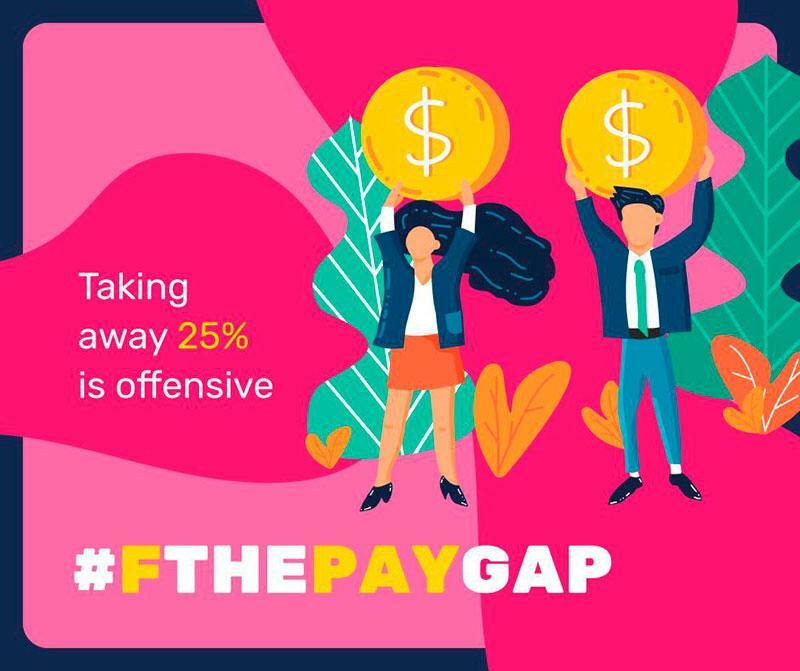 The launch of #FThePayGap has emphasised on the issue of the pay gap between men and women, which, on average, constitutes 25% in favor of the first. The organizers created a range of provocative messages, which display how insulting the pay gap is. The statistics claim, at puberty, 50% of girls feel paralyzed by the fear of failure. To raise girls’ self-confidence, the #LikeAGirl campaign was launched. It challenges the popular remark “You throw like a girl”, often used as an insult to a boy who makes a bad throw, and turns the phrase from an insult into a compliment. The campaign occurred to be so relevant that short film championing girls’ confidence got more than 66 million views. As we’ve already mentioned, some professions are still considered to be strictly for men. To eliminate this stereotype, there’s an ongoing campaign We See Equal. It addresses gender bias in science and highlights that “equations don’t care who solve them, science doesn’t care who studies it, diapers don’t care who change them, fears don’t care who conquer them, equal pay doesn’t care who demands it”. In addition, Crello has created themed customizable templates for each of 50 campaigns. Visit the website and download a perfect template for your project.